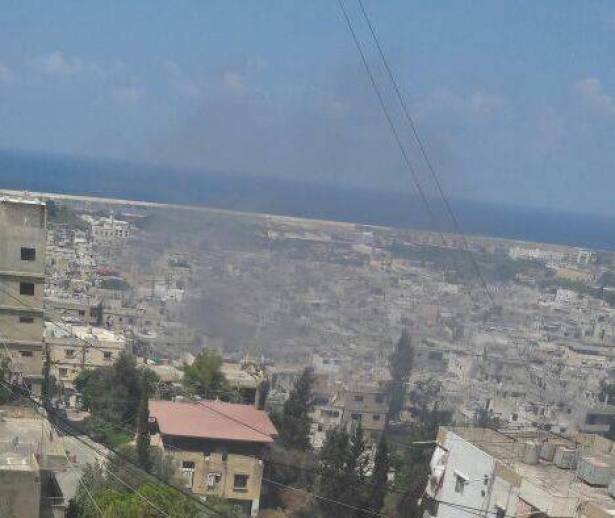 The Palestinian refugee camp of Ain Al-Hilweh has been witnessing a state of escalating tension since the early morning hours on Wednesday morning, adding this state continues despite efforts to water down tension through a new initiative that is supposed to impose a cease-fire. The new initiative resulted last night during a meeting between Hamas and Fatah leaderships in Beirut, which in turn informed the other Palestinian factions and political forces in Sidon. A meeting will be taking place at 11:00 am today at the Palestinian joint forces headquarters in Ain Al-Hilweh to discuss the new initiative which calls for the full deployment of joint forces in Hay Al-Tira, under the support of the National Security Force of Fatah. Meanwhile, extremists Bilal Bader and Bilal Al-Arkoub remain wanted by the joint forces.